Ducati has launched the Scrambler Mach 2.0 in India, the latest version of its Scrambler. 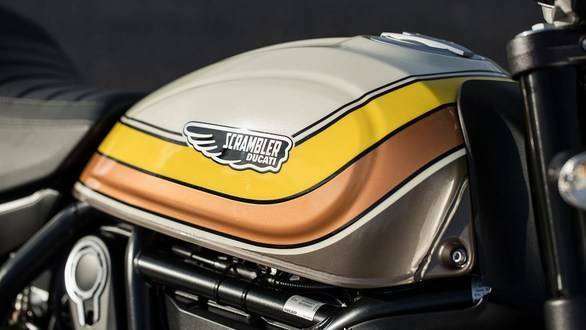 The Mach 2.0 features a distinctive paint job, courtesy Californian designer Rolands Sands, to distinguish itself from the rest of the Scrambler family. While the paint job is aimed at offering an American feel, the name of the Scrambler Mach 2.0 is inspired by the Ducati Mach 1 that was launched way back in 1965. The Ducati Mach 1 was a single-cylinder engined 250cc motorcycle and used the same engine as the Scrambler 250. The Mach 1 was the fastest 250 of its time and was capable of hitting speeds of over 160kmph. The ergonomics on the Ducati Scrambler Mach 2.0 are slightly different from other Scramblers, as it gets lower and tapered aluminium handlebars along with a flack-track seat to accentuate the American, flat-tracker like feel. The exhaust and cylinder heads on the Scrambler Mach 2.0 are finished in black and the engine also gets brushed cooling fins. Essentially a cosmetically-different variant, the Scrambler Mach 2.0 is identical to the rest of the Scrambler family when it comes to the power train, chassis, suspension and other cycle parts. It is powered by the same, air-cooled 803cc V-twin engine that produces 73PS and 67Nm. 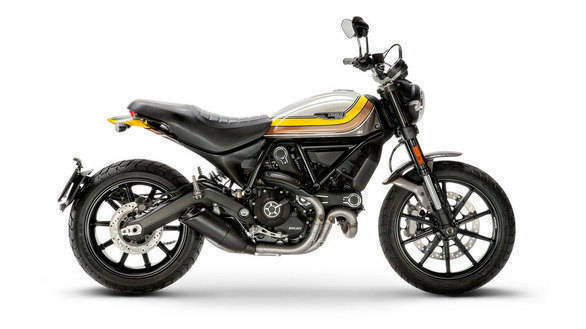 Priced at Rs 8.52 lakh ex-showroom, the Ducati Scrambler Mach 2.0 is the sixth variant of the Scrambler to be launched in the country, after the Scrambler Icon, Scrambler Desert Sled, Scrambler Classic, Scrambler Full Throttle and Scrambler Café Racer.